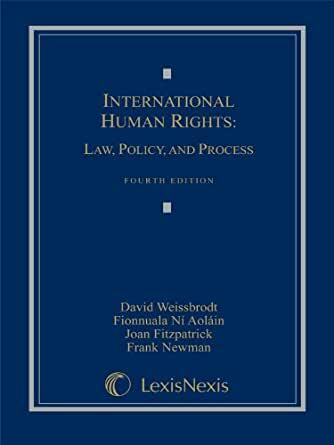 International Human Rights: Law, Policy, and Process - Kindle edition by David Weissbrodt, Joan Fitzpatrick, Frank C. Newman. Professional & Technical Kindle eBooks @ Amazon.com. The cover was coming off of the pages and I had to re-bind my book so that it would not fall apart. The cover was ripped. I had to glue it together so that it does not come out.